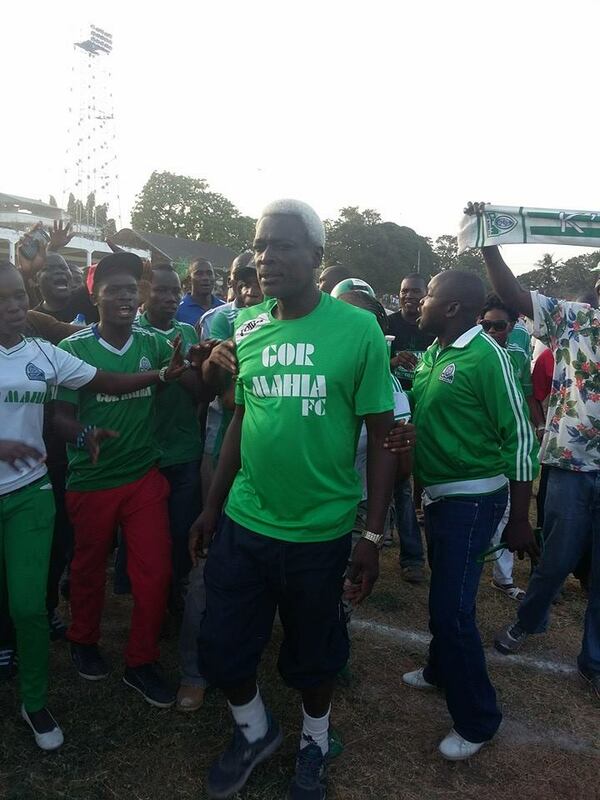 Gor Mahia felled Mombasa combined 2-1. The match was played at the Mombasa Municipal stadium. The goals came via Taofiq Zachary who scored his first ever goal in Kenya and Ali Abondo. Gor Mahia played much better than they had played on Saturday. The Saturday match was marred by rough play from Bandari and also marred by fans who jeered at the coaching staff and the players, most notably Jerim Onyango who returned their abuse in kind. 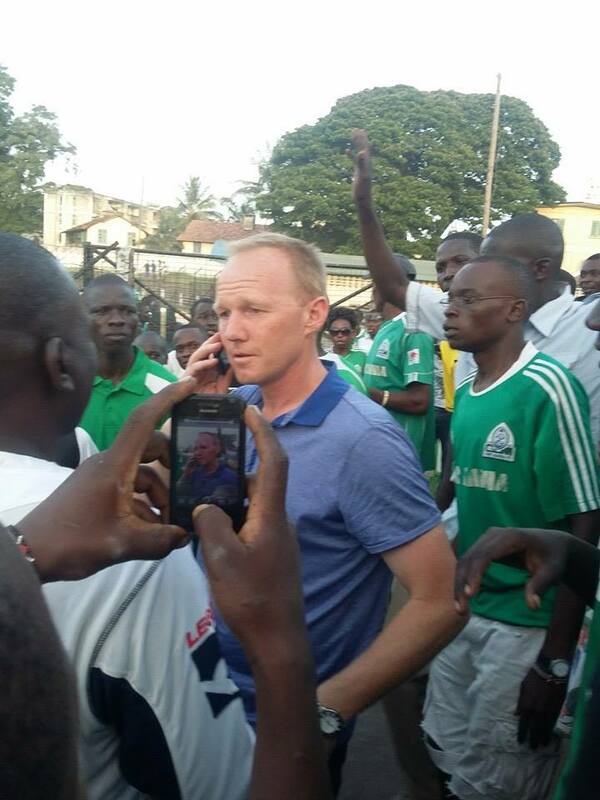 WE ARE ALL BACK AGAIN TO SEASON 2015″ GAUGING OUR OWN ONLY K’OGALO. Now assuming all of us are fools and idiots; then who is that ka-“fool” and where is the “idiot”. “DO NOT ARGUE WITH A “FOOL” OR AN “IDIOT” IN MATTERS PERTAINING TO GOR MAHIA FOOTBALL CLUB IN THIS SITE…..IT’S A PUZZLING INDIFFERENCE. jst keep it up guys,we have lots of faith in u n nxt season we expect big things from u. This was a match meant to help the team identify it’s weak areas for improvement. I hope that objective was achieved. Having been briefed on the progress of the game, we definitely need a top notch striker before transfer window closes. i applaud those who constantly try to urge some bloggers to be reasonable,realistic & fair with their posts for their efforts.U guys tried to do so the whole of last season,what makes u think u can change their minds this tym.GIVE IT UP ,IT WONT HAPPEN.Noticed the Nos. of daily bloggers have dwindled.THE BIG Q IS WHY??.. am fine with whatever results we post in the friendlies.however,when the league starts we shall all expect better from the team. if i give you 1.8 million as sign-on fees for example,i will expect a 1.8 million shilling performance in return…its called value for my money!! Oswozo….shida inakuja. Gor has signed all these expensive players; how do they plan to pay them? don’t forget KRA still want’s their money. Hapa Kuna diambo! Lets be realistic, players were signed they need to be together for results to be attained. This cannot be attained within aday. Team work must be developed.Fans who jeer at players even in friendly matches are not doing the team any good. I think the ‘disease’ of Nairobi fans has caught up with the Mombasa fans. Kisumu fans seem to be more disciplined and realistic than their other counterparts. Let’s not carry over our domestic, social, economic, political and financial problems into the stadium. The intolerence of Kenyans in all spheres should remain outside the stadium otherwise it will affect our performance. As much as we need to stregthen the striking force there is no guarantee that the person will cure all our problems. With BB, TO, Olunga etc we still have the best striking force. It is just a matter of time and the results will come. By the way in soccer you cannot force results. The weekend FA Cup results attest to this. And by the way the EC is still out looking for a foreign striker but with that we might have to sacrifice Emuge. So sad. Why do we think that if one is paid 1.8m then the team should not lose? Football is teamwork. One ManU player cost more that the entire Cambridge team plus their playground but the team still lost. dan@10..re-read my contribution…and understand if you can.at no point did i say that if one is paid 1.8m the team should not lose.contribute here with a purpose..not just to be seen.further am entitled to my own opinion..nothing you do or say will ever change that!!! To some extent i tend to agree with this Oswozo guy.His sentiments make sense. The reason we hire one over the other,and pay him more is because we believe they can deliver.Isnt that the reason we hired Toafiq over others?it naturally follows that we expect him to deliver.Now what is wrong with that? That is not rocket science but very straightforward.Be realistic and stop burying you heads in the sand.Its the same expectations we have for the Man-Us and Chelseas of this world.Why should it be different here just because dan or tom has said??c’mon!!! You will be called a fool and idiot like me if you say you want results. i dont understand this Oswozo guy..how many are you anyway? lets not put unrealistic demands on the team…fine we all agree that we expect them to deliver but lets give them time to get to know each other. ati if i give you 1.8m i expect you to play like 1.8m…ha ha…i think i like that part mr.oswozo!! COOL DOWN GUYS!! Why insulting and abusing each other? Are we not supporting the same team? The intolerance that we are displaying here is likely to find it’s way into the stadium. Will it help the team in any way? Guys, we all want POSITIVE results but must acknowledge that for various reasons (some beyond control) at times we won’t get it. It’s soccer and what happens in the ‘soccer-developed’ nations will also occur here though at a lower scale. We must all accept to be challenged as no one has monopoly of ideas. All of us want the best for the club but what varies is the method. I believe even those who ‘booed’ the TB and Jery in Msa want positive results for the club. After all when we won the title last year we all celebrated, the critics as well as the those labelled ‘boot-lickers’. @Jimmy Amimo, You don’t need to apologise for the good comments you made. Blame them for their mastery of English language. However, I see some people smelling a rat. Could there be something they know about themselves that we don’t know? Did the comments sting them directly? Your comments were directed at hooligans and they still remain idiots in my assessment too. @ombeng ombeng with all issue’s at stake withstanding there is neither no parameter or criteria nor yardstick to determine that your previous post amount to foolish or idiotic sentiment. Guys we can not always reason the same way and our so called “gatekeepers” of this site must desist from gagging some individual post that necessarily do not support their line of thinking. No body has monopoly over ideas or information regarding K’ogalo. Abusive language is very nonsensical. I was also called a fool , an idiot and any other name that was thrown at me. Why? Simply for saying the obvious, we need a new striker before transfer window closes so that we can be banging the goals like others. Without quoting names……bhang sniffers have resorted to blogging . It appears we have a click of people in our midst who ply this site everyday simply to annoy and insult other people ! Now I wonder who is an idiot or is a fool . Idiots and fools have been redefined! Comrades you all have very good ideas.T he problem,in my opinion,lies in their objectivity.None of us was impressed by the lose to Bandar.I didn’t watch that match but I was stung by the results.I hope all of us are supporters of Kigalo and not fans.Supporters are ready to sacrifice all for the team.Fans on the other hand are always ready throw stones,impatient and completely lack any signs of decorum- I am not insulting anyone here.This much maligned EC has very well.With time when these boys gel we shall have a very exciting outfit.Olunga is still young and therefore we have a future in him.Taofic is in a new country, a new league and a new culture.Call it culture shock.If you are in his shoes you will experience the same dynamics.Give the TB and EC time.We all need to remember they are working on a shoestring budget.We are champions on that account.Beloved please let’s be supporters.Not fans. And @jakoyo true to your very passionate concerns over blunt striking force and prowess upfront; i have read somewhere of one striker namely KAGERE, who is in town due to personal demand from none other than coach Frank Nuttal ready to be signed and fill up the void. THAT IS A CONCERN!! @jakoyo just let those who are throwing barbs and tantrums aimed at your comments in the name of the “Queens language” swallow their pride either willingly or unwillingly and accept that you are pro-actively engaging yourself with constructive and objective debate.KUDO’S FOR PRO-ACTIVITY. From what is happening It is rather obvious that the Technical bench is not asleep. They are well aware of what the plying unit needs which at the same time is not easy to fill. In terms of expenses I think also that they will not allow themselves to eat what they cannot swallow.If it is within their budget and this guy Kagere passes the test, so be it. On a reconcilliatory tone, lets not volunteer unwholesome words that only deprive us of the pride that we are associated with. I urge the Kogalo family to share their ideas objectively.The EC is well awake. We have fans but no supporters on this site. When the club requires their financial contributions, they disappear in thin air. When it comes to blunt striking, insults, throwing stones, free entry etc they are always there in full measure with antidote venoms. As an ardent Gor Mahia supporter, there are no cause of alarm to worry about the weekend results. We have a strong team and the able coach is doing his job to rectify where we have weaknesses. I do not understand why we are quarrelling when the team is being prepared by Nuttal. All this is unnecessary…Ooh jinga…ooh mavi ya kuku (Pascal)…ooh Kapedo…ooh fools…ooh idiots. All in the name of friendly matches? Then I am not for Gor Mahia’s friendly matches because they make fans insult each other so early in the year. FKF should hence ban all friendly matches involving Gor Mahia. @ Barefoot Bandit….hahahaha…ati FKF to do what? You have made my day. Anyway hizi stress za January, which will be over very soon. All said and done, the message was clear, that hooligans are idiots as far as other people is concerned. No one is disputing that.I doubt if that has changed and that has nothing to do with the weekend matches!! I hear the hooligans were chanting “Jerry must go”. Go where? Who knows? May be go for trials. Funny the ODM intorerance is finding its way into gormahia , where does this leave us? Mr.Nattal do what he is best at.the team needs sometimes to jell.for me I am optimistic that we have a strong team capable of lifting trophies this season. Mwana wa Ingo you are spot on as regards GMFC’s 2015 wage bill. Can EC assure us that they will fully manage the 2015 wage bill for players/TB. If all is well EC should say so if they anticipate a deficit LET US KNOW NOW. Does EC have concrete structures in place to settle the monthly wage bill of both the players/TB in time and in full. Concrete structures include presenting a detailed budget to fans/members and appealing contributions for any anticipated deficit early enough hence avoid disruptions caused by sit ins/go slows. The AGM is ideal for ironing out such issues. I totally agree that when you pay out huge signing fees you expect results and performance from the players/TB. Remember players can terminate their contract if they are unpaid for 3months. Last year will only managed to scrap through with the TPL but were humiliated in CAF,CECAFA & even the GorTv. I am a believer that combinations and formations are matters during the daily training. Friendlies are “mock exams” and give an indicator of how performance will be in the finals. Lastly “sponsorship this , sponsorship that” but tell me how will EC/the club access any sponsorship money when GMFC’s accounts have been frozen by KRA and any potential sponsor will be instructed to pay any such monies direct to KRA to recover the “unpaid taxes”. @pmawego, thanks a lot for understanding what I meant. at no time shall I contradict what I say. and there is no way I’ll call the people on this site names, unless you are a hooligan, then you what you are. These signings were made after the 15th January deadline and I don’t think they are eligible for CAF. Why does the EC go to sleep after the end of the league season especially after winning the TPL and qualifying for CAF. Its all parties and inactivity yet in early Feb CAF matches start. Anyway hope they will serve us well especially in CECAFA and local tournaments especially Kagere who did not make an impression with his last club.